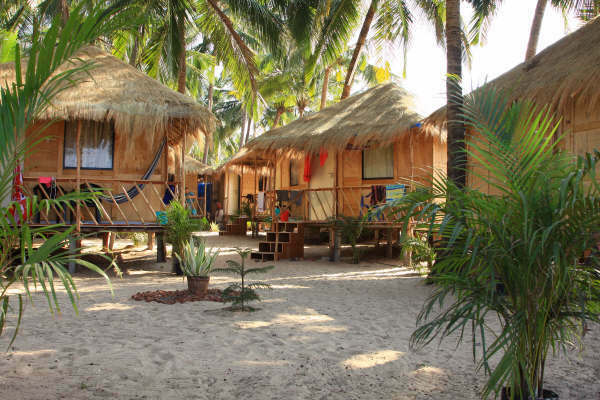 Wooden huts with natural interiors (eco-friendly accommodation). 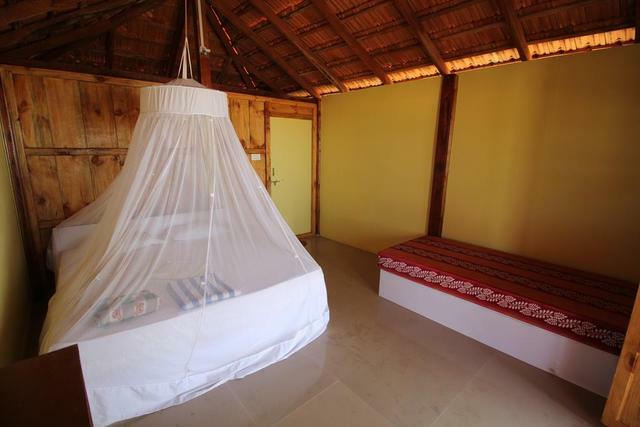 Sunbeds or hammocks for relaxtion. 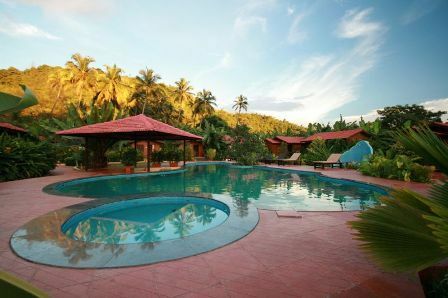 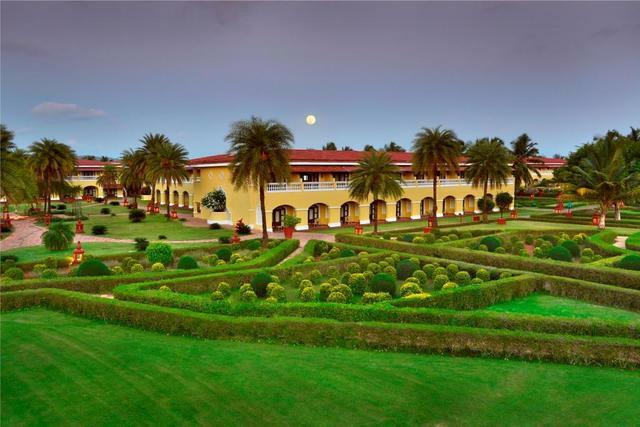 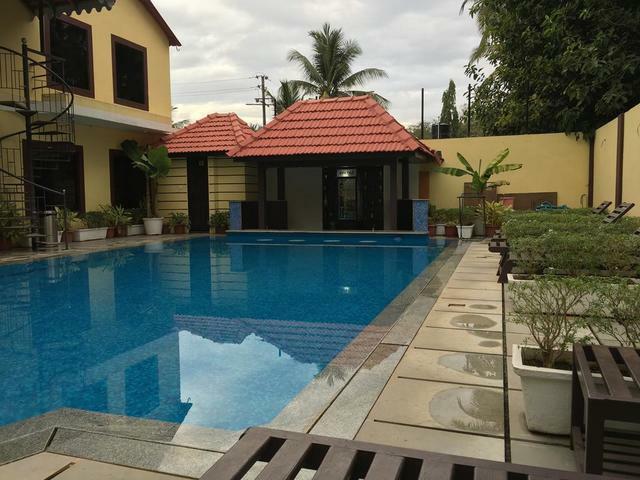 Set amidst a lush green coconut plantation. 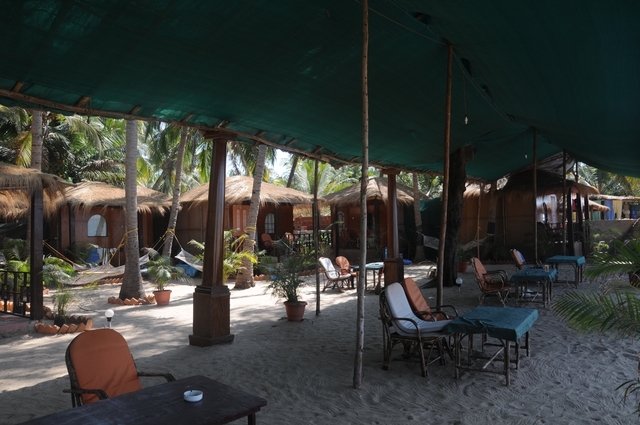 Om Sai Beach Huts, Goa, stands to offer a unique experience of relaxing on the beach of Agonda. 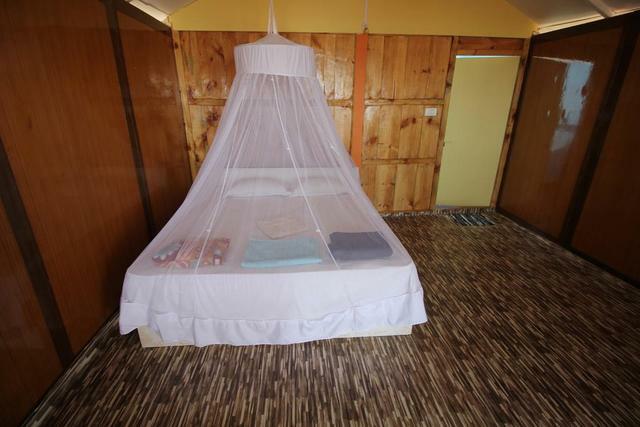 These beach huts are equipped with all the essential facilities to assure ultimate comfort to the patrons during the stay. 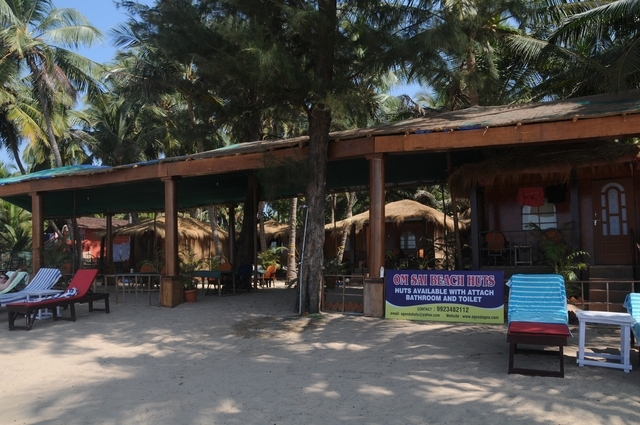 Surrounded by palm-fringed backdrop with numerous eating joints, guests are sure to enjoy the best time in Goa. 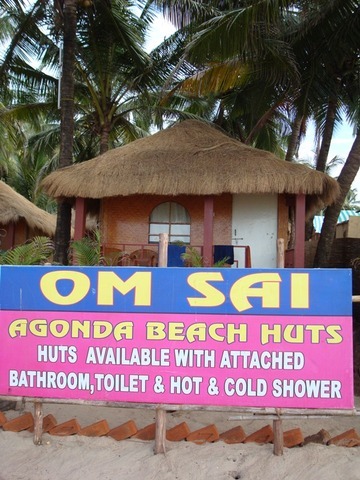 Om Sai Beach Huts is located in Agonda Village, Canacona. 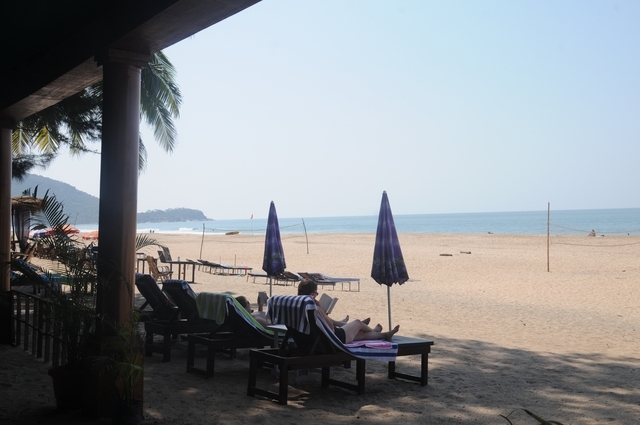 Popular beaches like the Palolem Beach (Approx. 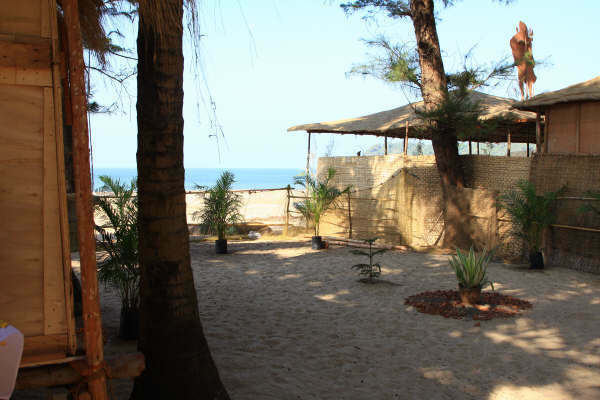 9km) and Colomb Beach (Approx. 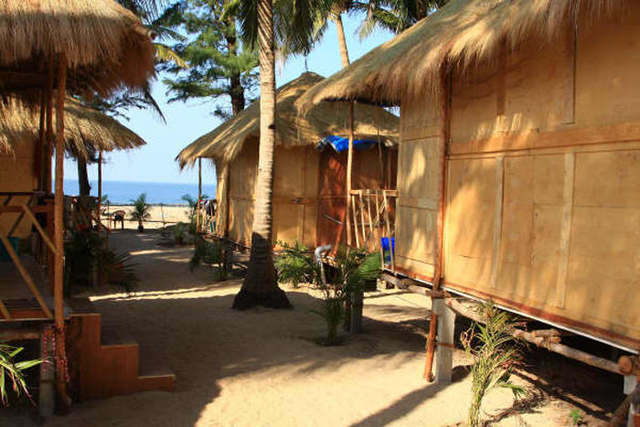 9km) are close to the Om Sai beach huts. 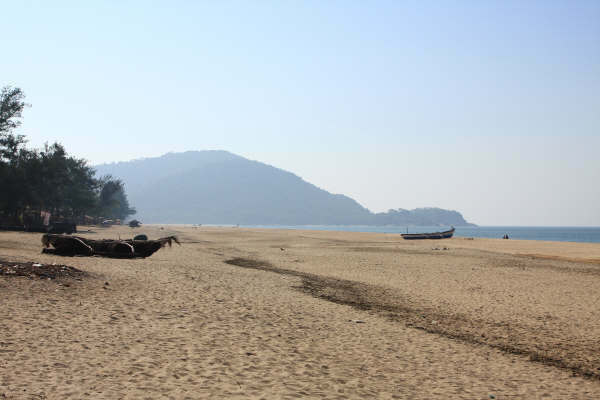 The crescent-shaped Palolem Beach which offers a complete view of the beach from both the ends of the beach is worth a visit. 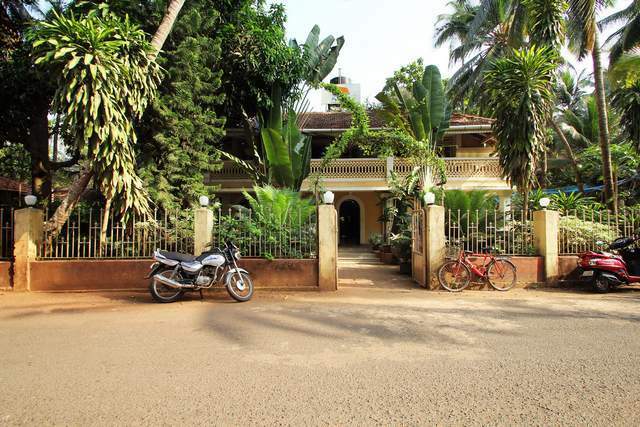 Other places worth exploring are Chapora Fort, Amthane Dam and Ancestral Goa Museum. 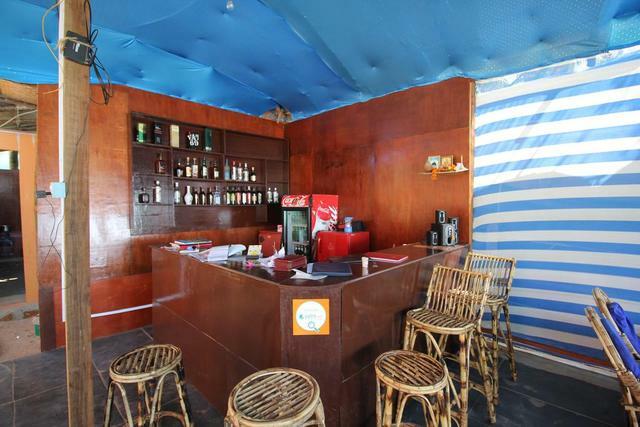 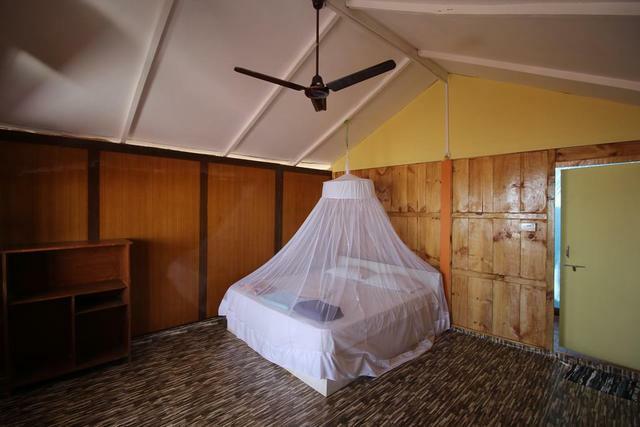 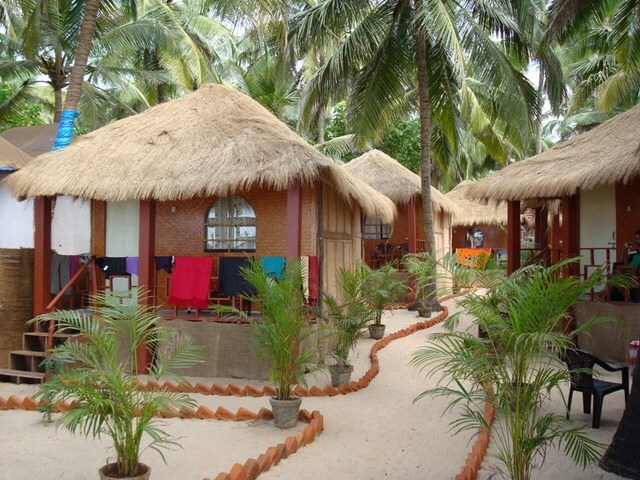 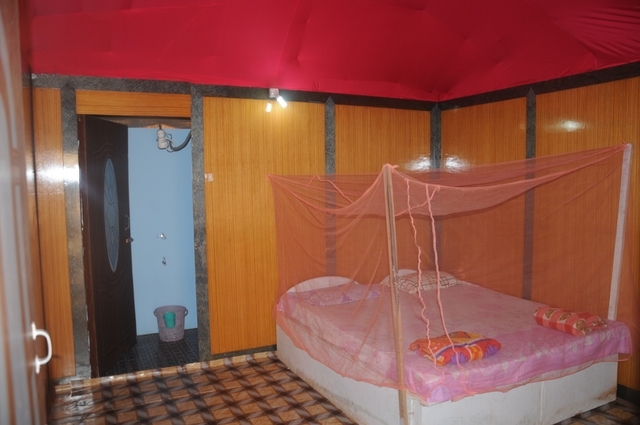 Om Sai Beach Huts offers all necessary amenities to assure a comfortable stay amidst the brezzy and calm environment. 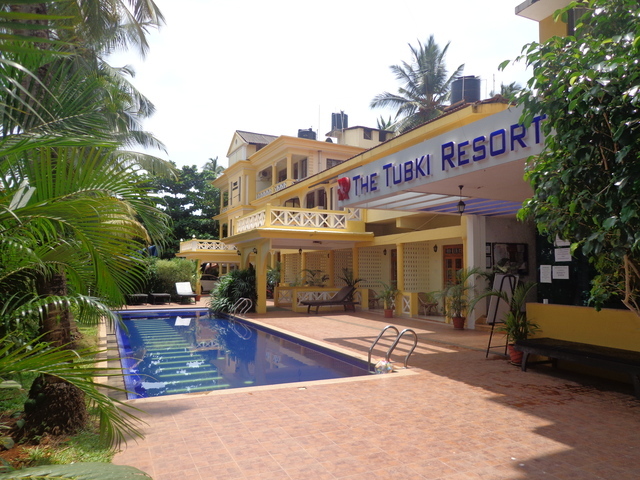 Basic amenities include room service, 24-hour front desk, travel desk and 24-hour security. 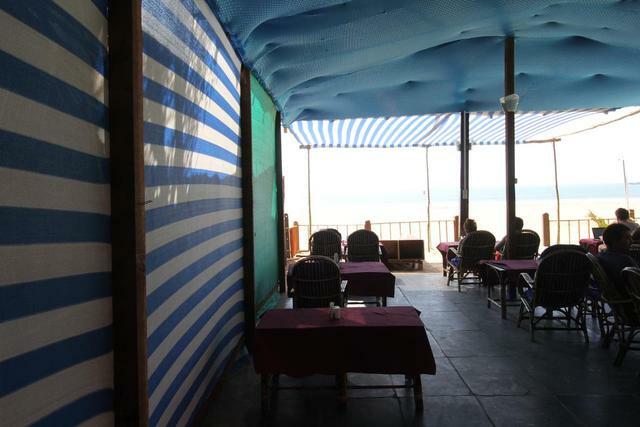 The beach huts are conveniently located amidst many eating joints, so foodies can savor on appetizing cuisines right on the beach. 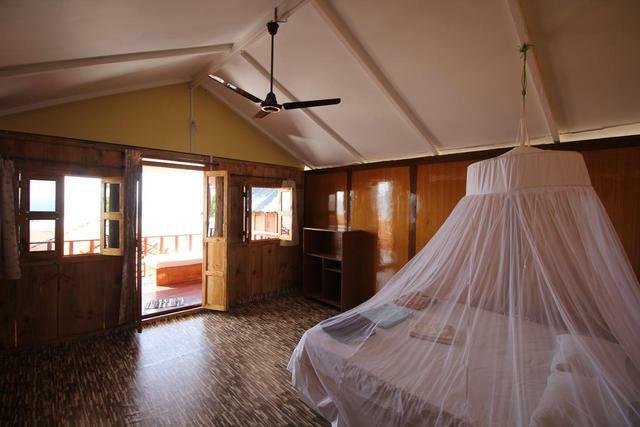 Rooms are categorized as per the view it offers from its balcony or window. 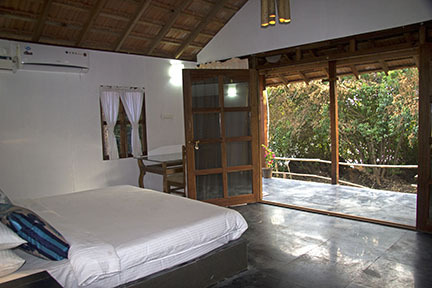 Guests can opt for a half sea view room or a full balcony beach view room. 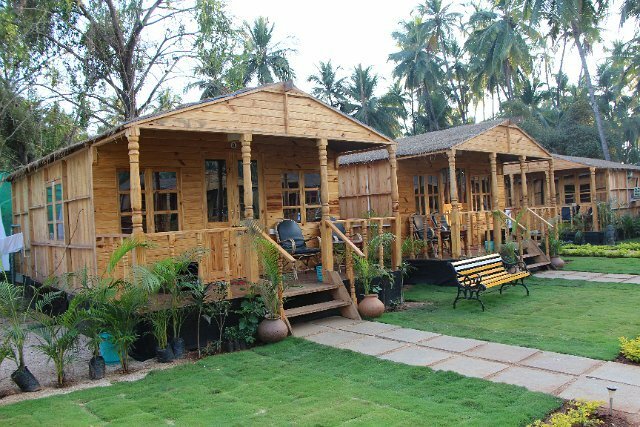 These huts are a perfect combination of rustic charm and comfort.